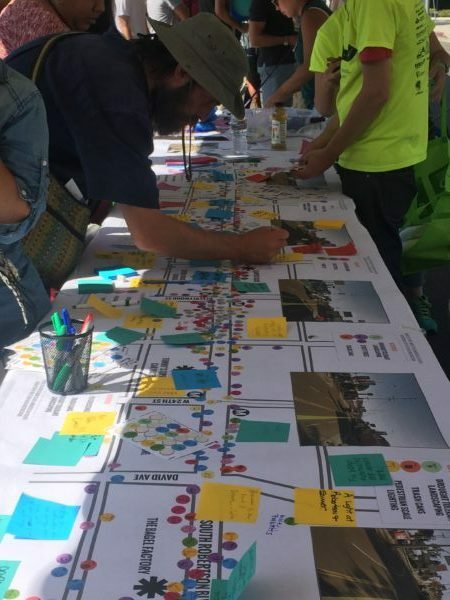 We’ve had a whirlwind couple of weeks on the GREAT STREETS project. 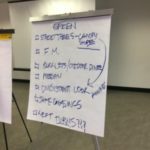 A catch-up post was long overdue! 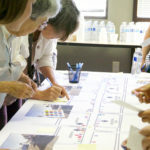 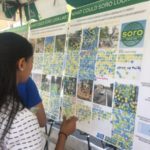 South Robertson Neighborhoods Council (soronc.org) has regularly surveyed the community over the years. 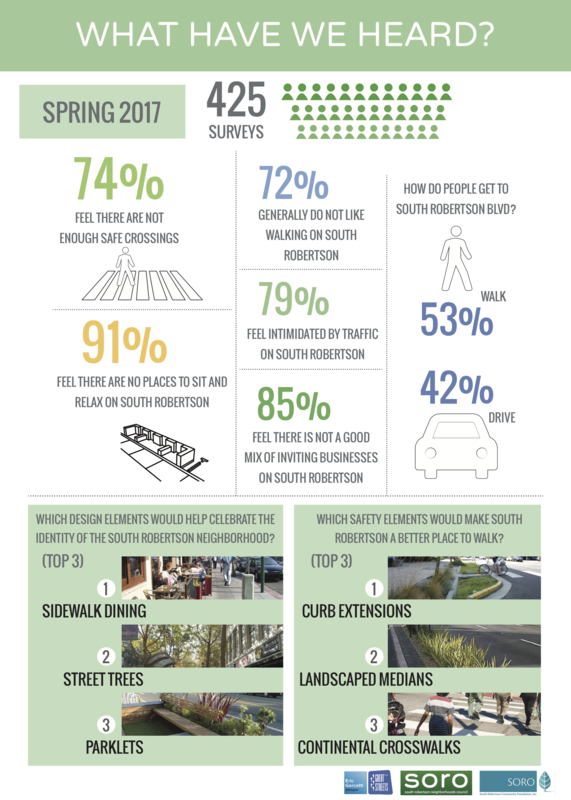 This baseline data has given us an interesting snapshot of what we’ve heard over the years as priorities for South Robertson. 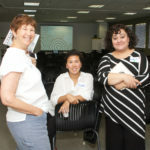 On May 21st, close to 100 of you attended our first workshop. 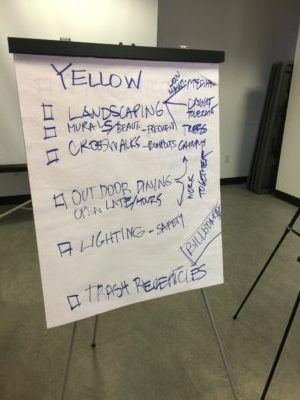 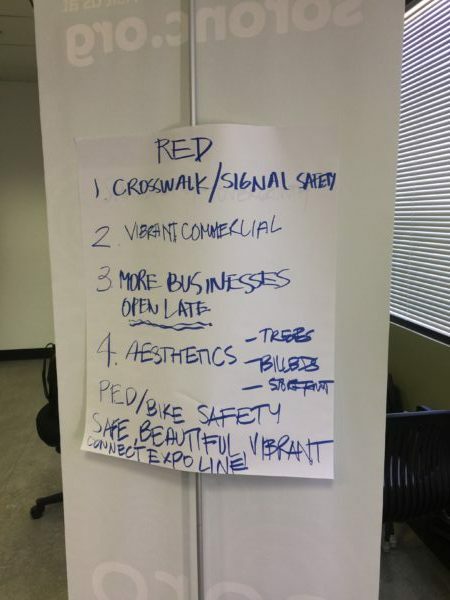 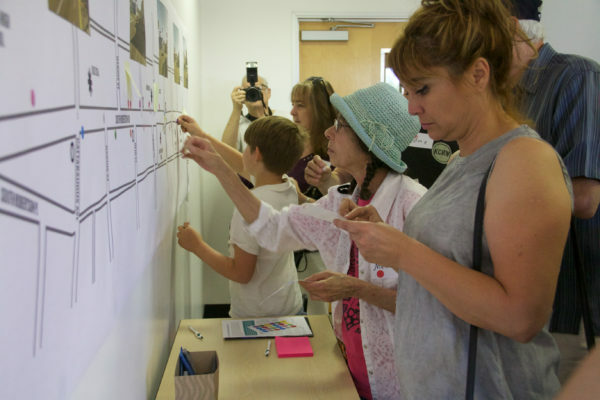 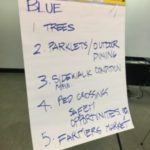 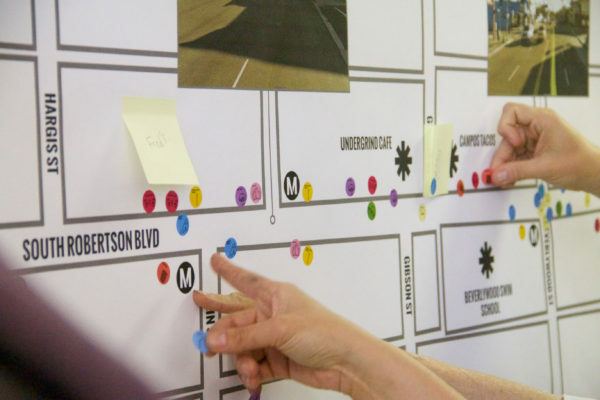 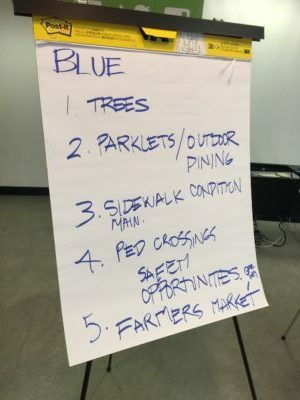 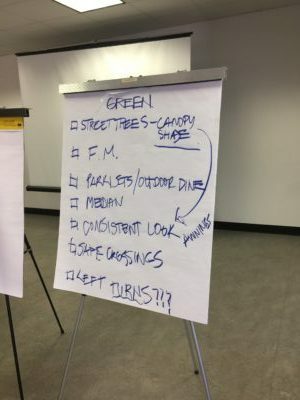 After some grounding information and contextual overview, we rolled up our sleeves, broke into small groups, and started to think about how and where we would want specific improvements to the streets, if we could have them. 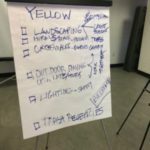 What was most important to each person in the room, and where would they want to see that improvement? 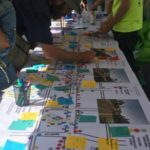 There was a lot of discussion and some furious placing of icon-stickers, and a good time was had by all. 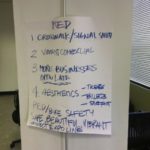 Each group rounded up their top priorities, and all the input went back with the consultants, so they could make sense of it. 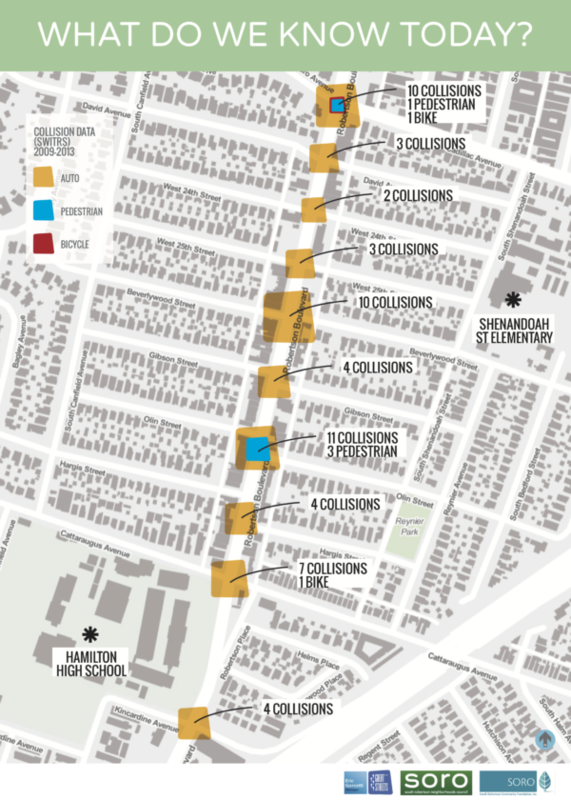 Thanks to our friends at the City, we were also able to pull collision statistics for the project area on South Robertson, during the 2009-2013 period. 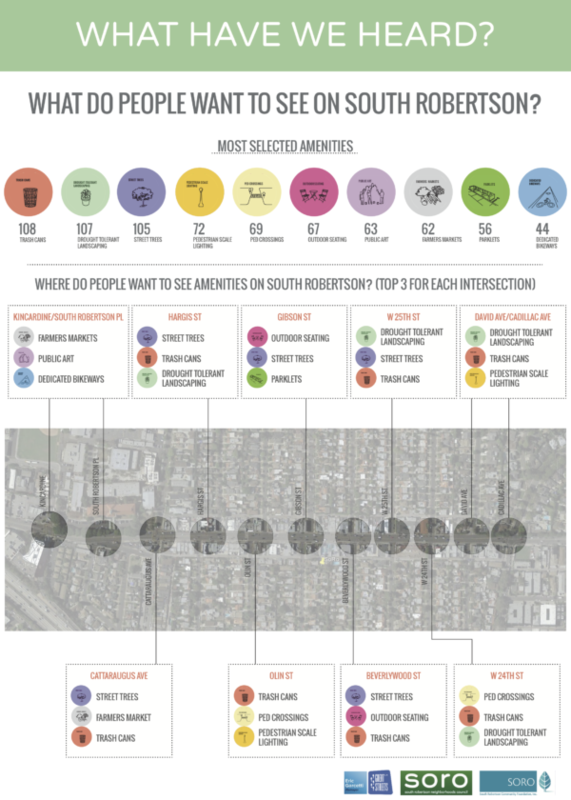 While South Robertson isn’t one of the worst offenders in the City in terms of collisions, it is certainly notable that there have been collisions at each and every intersection along the 0.6 mile project area. 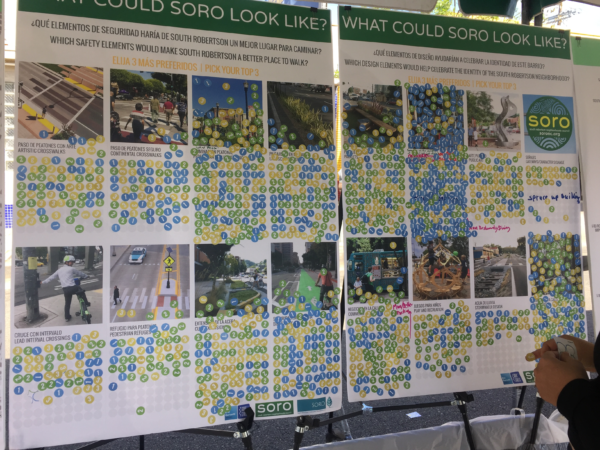 While each intersection has a fairly reasonable number of collisions, taken in aggregate, it tells a story about safety of the corridor. 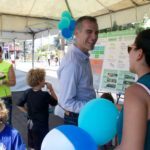 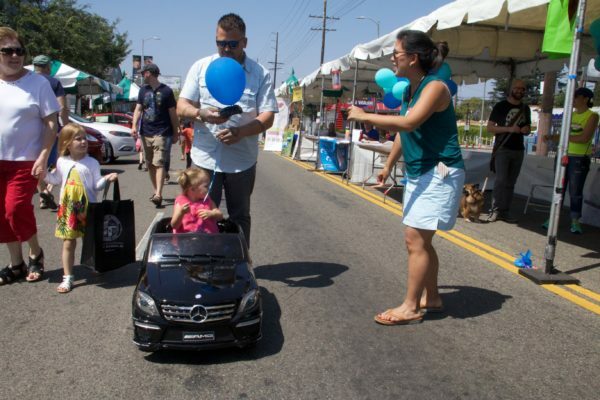 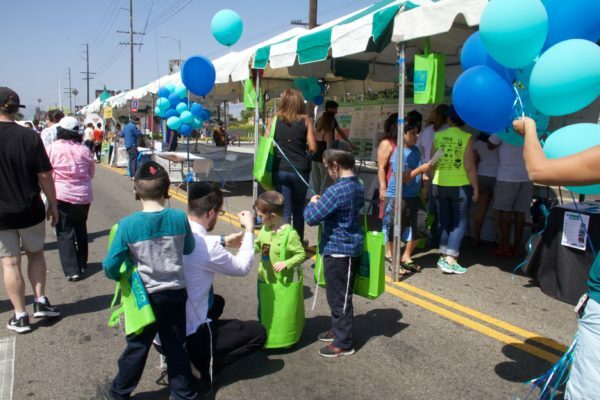 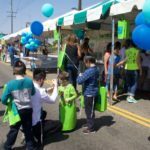 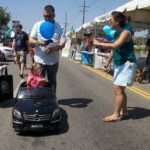 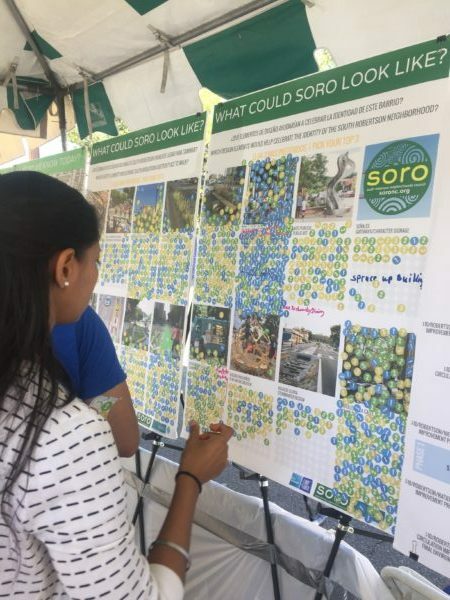 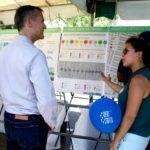 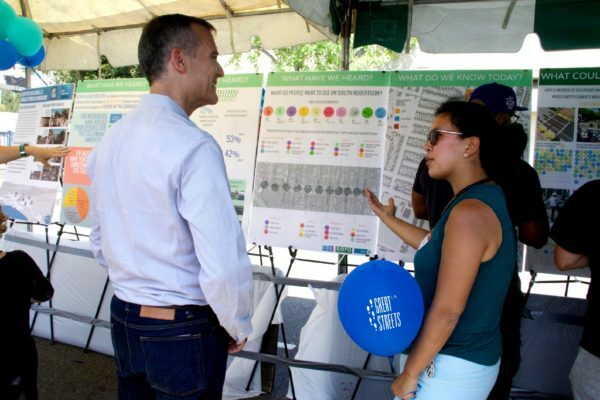 Taking all this insight, Great Streets set up shop at the 20th Annual SoRo Festival, where we got to meet and talk to hundreds of you as you enjoyed the day. 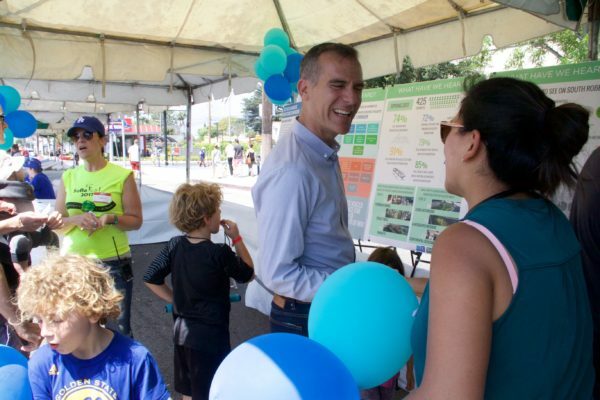 The booth was packed all day, including a guest appearance by Mayor Garcetti himself! 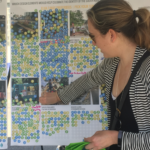 At the festival, we reprised the table map exercise, starting with the data we gleaned from Workshop #1, and we also asked folks to weigh in with preference stickers on the top improvements. 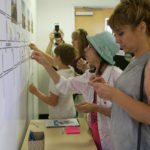 Here are just a few pictures to give you a sense of the enthusiasm. 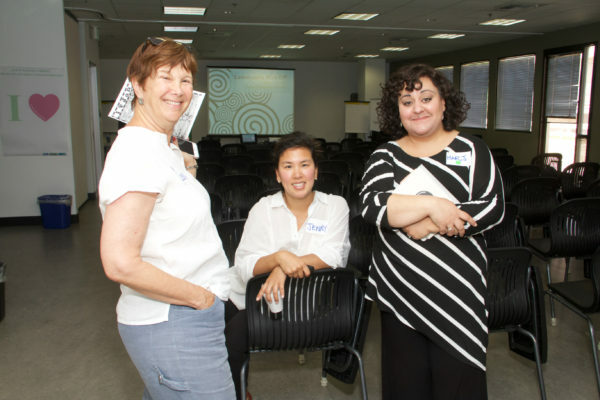 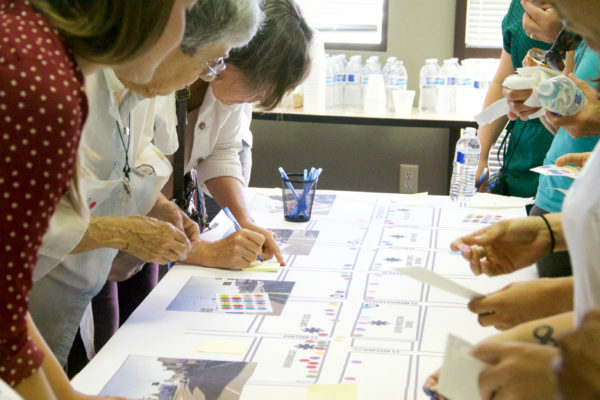 We’ll have formalized outcomes ready for our next meeting, Workshop #2 happening on June 25th. 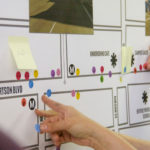 As we continue to hone down our ideas, this last workshop format will be one of the final opportunities to give large scale input, so we hope many of you mark the date and plan to attend. 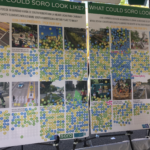 Here are some snaps from SoRo Fest for you to enjoy. 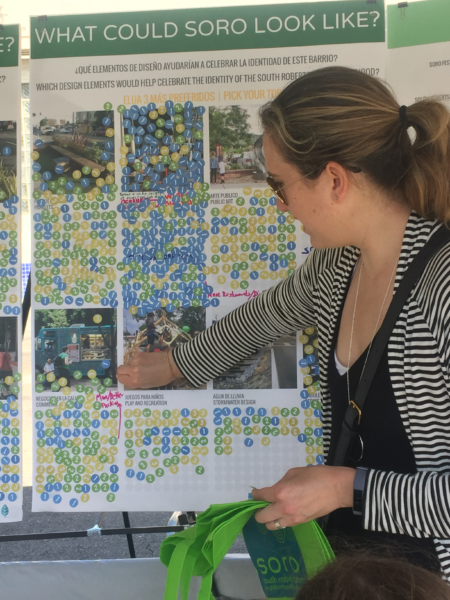 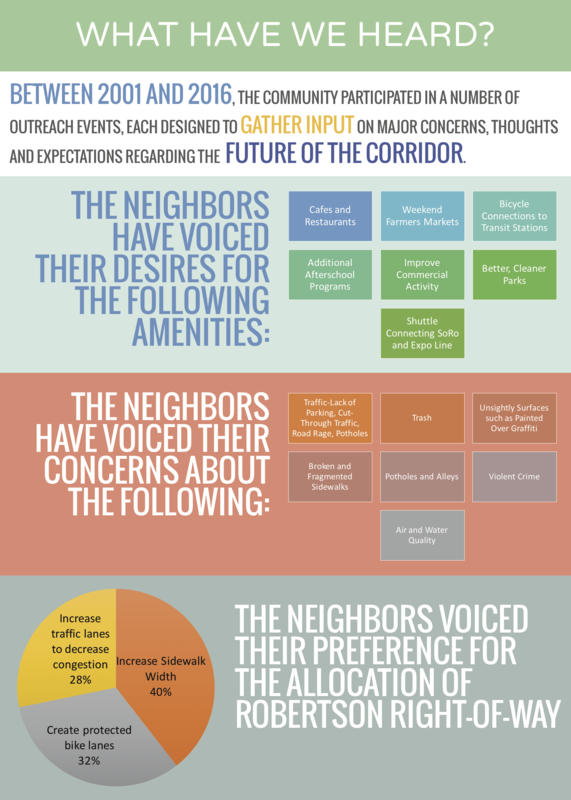 Apparently our community is really, really keen on outdoor dining and street trees!